Need a bucket list of top golf holes to play as you venture along the west coast? 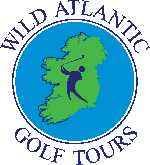 Why not play our choice of the best 18 holes on the Wild Atlantic Way. After you visit the courses , we would like your feedback and hear about your personal choices. Let us know how you get on. 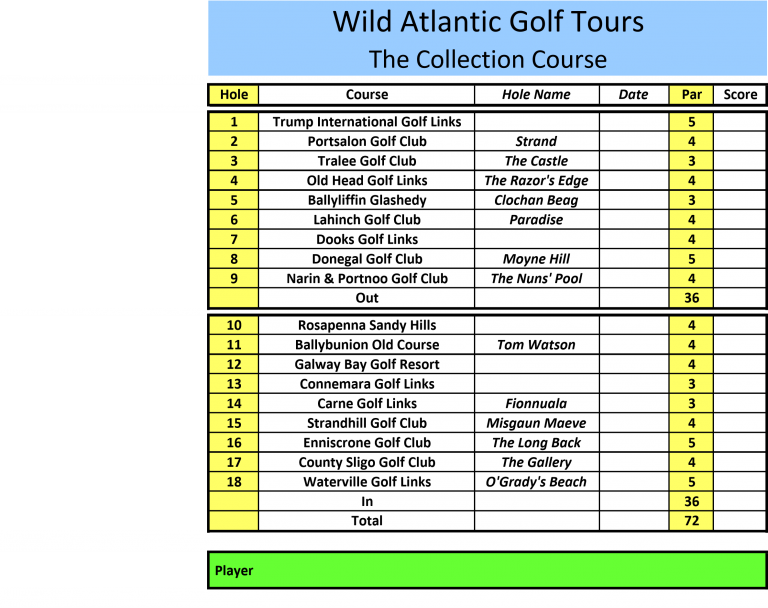 You will be provided with a customised scorecard on arrival and the lead party in the group will receive a complimentary image of you or your group on a professionally framed canvas , set against a backdrop of all of the WAGT collection holes.